The market size was large, but the cost was too high to capitalize on the opportunity. 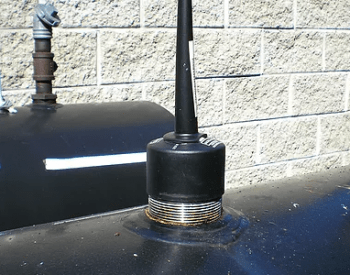 Our client knew there was a large market for fuel oil tank sensors. However, no company had been able to capitalize on this opportunity. Many had tried, including our client, but either the cost was too high or the accuracy was too low. The key was a sensor that was very low cost while at the same time very accurate. After several years of trying, they finally turned to Finish Line PDS for a solution. After failing three times, our client turned to Finish Line PDS for an innovative solution. After three tries, not to mention all the attempts of others, our client understood that an innovative breakthrough was going to be necessary. There was just not any conventional sensor technology that would meet the accuracy and cost requirements. Using our own proprietary methodology for Conceptual Design development, the Finish Line team was able to envision how an existing technology (one that had been previously rejected due to its high cost) could be used to meet the requirements. Typically, capacitance sensor costs are high due to their need for precision components and calibration. However, by understanding the application and using existing data from the flow meter that is used in the standard fuel delivery process, the need for duplicating this precision in each device was eliminated. The sensors are calibrated “in place” using data that is already collected and available in the existing end-user software. Consequently, the sensor calibration is now done at zero cost. The result is a fuel oil sensor product that has now out-sold all other sensors in this market combined.